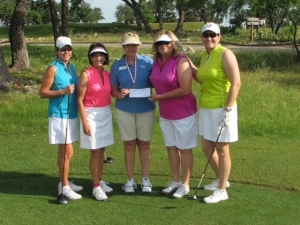 The Scholarship Fund-San Antonio EWGA received an extremely generous $15,000 gift from the Donegan Burns Foundation. Deborah Humphries, Board Member, presents the check to EWGA San Antonio Chapter President, Shirley Craig. The EWGA-SA Chapter Scholarship program significantly helps young girl golfers between the ages of 14 and 18 to continue with the sport of golf and to fulfill dreams. This donation will be used to assist recipients with continued education in golf, equipment needs, travel, etc., with the hope of future college scholarships and even, perhaps one day, a LPGA career. ABC Youth( Any Body Can) was founded by the late champion boxer, Archie Moore, more than forty years ago. His son, Billy Moore, continues his famous father’s work helping San Diego’s youth avoid drugs and gangs. ABC was recently awarded $25,000 from the Donegan Burns Foundation which will help to effectively launch, test, and expand products and services that create stability in literacy. 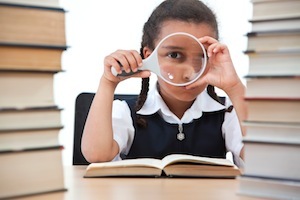 Specifically, this grant will help test and intervene early Dyslexia amongst our participants. ABC has gained momentum in the diagnostic testing of our students and will also be connecting with our partnered schools and other organizations to secure a minimum of 15 to 20 students per day. We are on target to reach our goal of 300 students this school year, which will certainly make a difference in supporting those youngsters with learning disabilities who may otherwise go undetected and untreated. The students below are completing an assessment test to determine if they are at risk for dyslexia. For those who are at risk an intervention is administered. 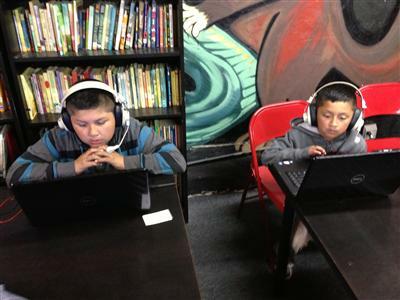 Many at risk children learn to read at grade level within months. 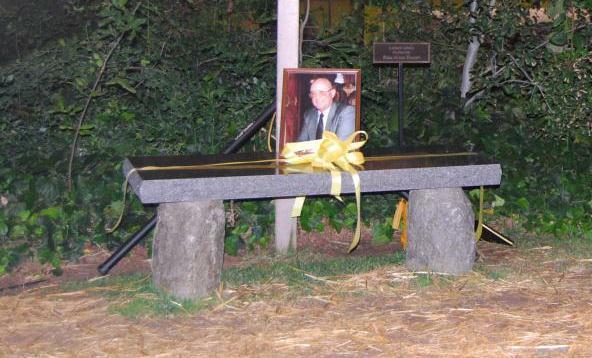 The program is funded by the Donegan Burns Foundation. 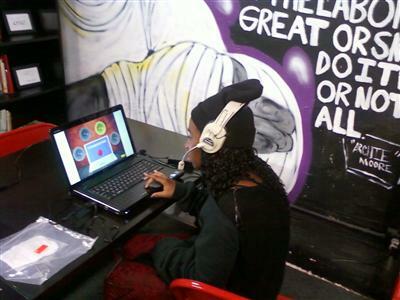 For more information about ABC Youth Foundation, visit their website here. From left, Jane Oatman, president of the Fallbrook Animal Sanctuary (FAS) board of directors, holds a check that was presented by Chris Hawranik of the Bonsall Woman’s Club, to Janet LuCore, director, FAS. 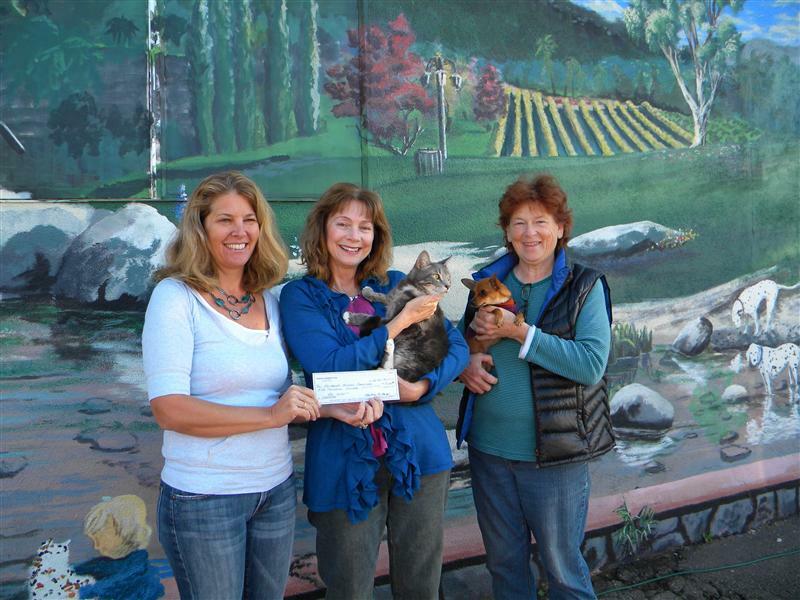 The Fallbrook Animal Sanctuary (FAS) received an unexpected and very generous of $5,000 from the Donegan Burns Foundation on December 29, 2012. 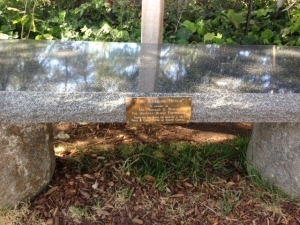 The gift was given through the Bonsall Woman’s Club. The monies will go toward the care and feeding of the homeless and abandoned pets in the sanctuary’s care. 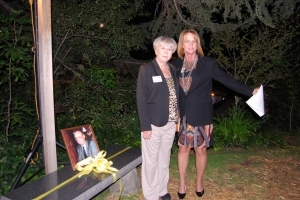 The FAS Board of Directors and Volunteers said, ” Without the generosity of the Donegan Burns Foundation, the Bonsall Woman’s Club and others like them we would be unable to operate the only no kill shelter in North San Diego County; they have made it possible, through their donations. to keep our doors open. 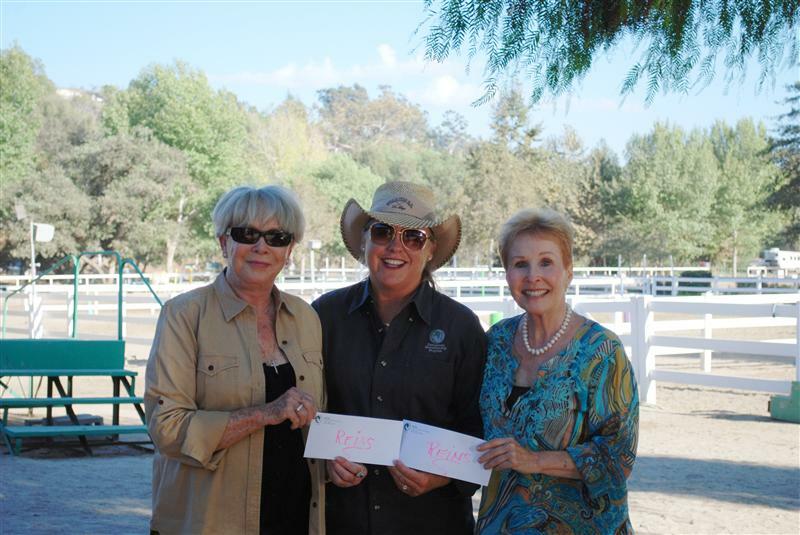 REINS executive director Debbie Shinner, center, accepts donations from Bettye Burns, left, and Donna Kovner. – The 16th annual REINS Country Hoedown is just around the corner on Oct. 13th, 2012. The staff at REINS is excited to announce that this year, for the first time ever; they have not only one presenting sponsor but two. 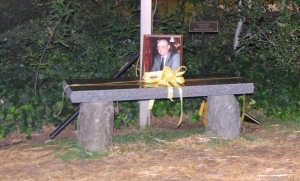 Mr. and Mrs. Jim Stevens and the Donegan Burns Foundation are the first ever presenting sponsors for this event. This great family event has something for everyone: the annual silent auction full of items from around the world, rockin’ entertainment by The Clay Colton Band, a wonderful dinner by Lucille’s Smokehouse BBQ, a $1,000 gasoline giveaway, and of course a riding demonstration by some of the students. This year’s demonstration features a father/daughter pas de deux and an equine demonstration led by REINS’ own PATH International, Region 11 Horse of the Year, Fooley. Tickets prices are: $50/adults, $25/kids (12 and under), $45/military and seniors (62 and up), $20 /military kids and $130/family pack (includes two adult and two kid tickets). Sponsorships are also still available and include a reserved table, hosted beer and wine, and publicity on all materials! Contact Jennifer at (760) 731-9168 or jennifer@reinsprogram.org for more information. 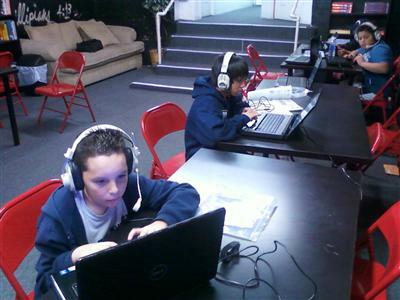 Foundation offering grant for youth dyslexia testing. The Donegan Burns Foundation is offering its Dyslexia Testing and Intervention grant to equip schools and youth programs with early dyslexia testing. The grant will provide up to $12,000 for dyslexia testing and intervention for children in 1st through 3rd grades in schools and for children ages 5 to 15 in after-school programs. 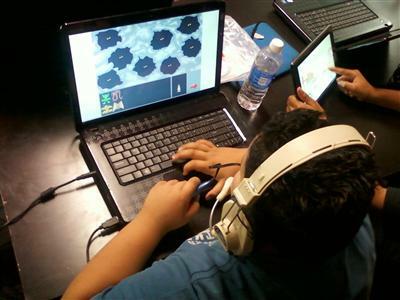 Grantees also receive testing and reading intervention software and support valued at approximately $13,000, according to a news release. 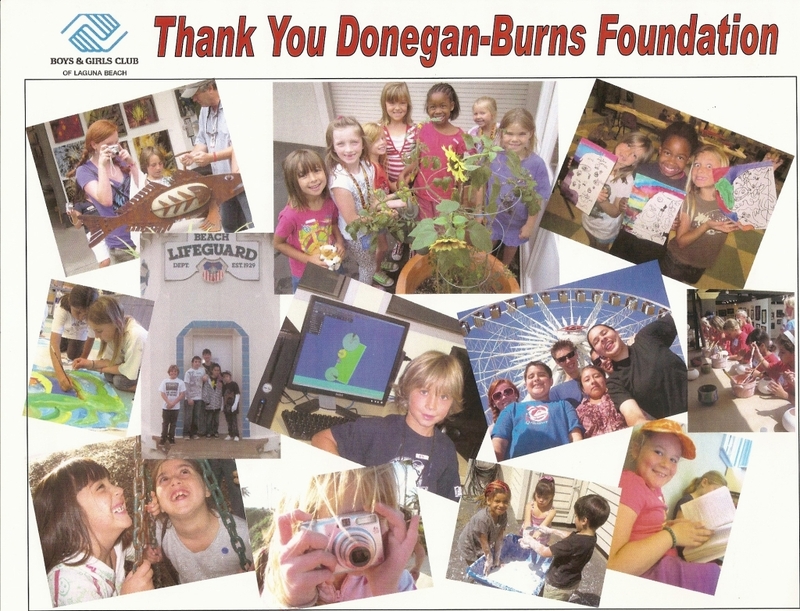 Laguna Beach Boys and Girls Club students express appreciation in the form of a “Thank You” poster board to Donegan Burns Foundation for the Foundation’s financial support.